How much do Americans know about U.S. history, the founding principles of their country, and how their government works? The results of a study by the Intercollegiate Studies Institute (ISI) titled “Our Fading Heritage: Americans Fail a Basic Test on Their History and Institutions” are not encouraging. A substantial majority did not know that the phrase “government of the people, by the people, for the people” comes from President Abraham Lincoln’s Gettysburg Address; nearly four out of 10 think the Constitution gives the president the power to declare war; and almost 25 percent believe that the United Nations and Congress share foreign policy powers. These results show a dramatic dearth of understanding about their country of far too large a group of Americans. Thanks to this study and other resources, those of us who wonder at and mourn the growing tendency for so many of our countrymen to abandon the principles upon which the United States was founded and embrace big-government and socialistic trends now have a better idea of why this is occurring. Of course we already know some of the reasons: the modern news media have mostly abandoned the responsibility to report objectively, as they are bound by principle to do, and take sides in the stories they report. And there is the disturbing degree of historical error and intellectual dishonesty that exists in school textbooks, previously discussed here. Another factor in this troubling development comes to us from columnist Walter Williams’ in a recent article titled “Fraud in Academia,” which explains how grade inflation is producing a group of college graduates who have high grade point averages, but whose basic knowledge is severely lacking. This situation is so bad that “parents and employers should lower the average student’s grade by one letter, and interpret a C grade as an F,” Dr. Williams says. Interviews conducted during and after the presidential campaign last year showed a disturbing number of voters with an abysmal lack of knowledge about both what the presidential candidates stood for, and how their government is supposed to work. It was clear to anyone willing and able to think about these results that a large number of voters were not knowledgeable enough to cast an informed vote. Should we be surprised, then, that so many Americans, having been victims of intellectual dishonesty in school during their formative years, and victims of journalistic dishonesty as both children and adults, are intellectually unprepared, and thus unable, to reject the leftist demagoguery and efforts to fundamentally change America from its original grand design into just one more government-dependent, soft-headed, soul-less culture, like the weak socialist failures of Europe? 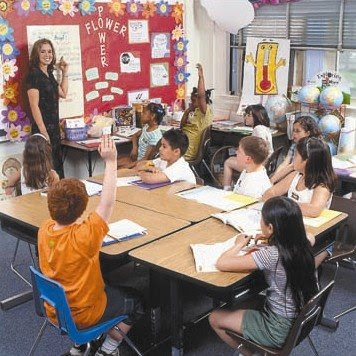 Our country cannot survive if instead of learning its basic principles and the true history of its origins and development in elementary schools, secondary schools, and colleges, large numbers of young, impressionable minds are being indoctrinated and propagandized with false teachings, and their education subverted by continuously lower expectations and lower standards. Time was when getting an education was not only a worthy goal, but a difficult one to achieve; it took a lot of hard work to get through high school and college with good grades. But when you completed your education, whether with a high school diploma or a college degree, you had learned a lot along the way. Dr. Williams, the ISI, Professor Reeves, et al, paint a picture of a culture gradually sinking into mediocrity, losing its soul to a philosophy of weakness and low expectations.